Palace Resorts held its first annual Palace Experience Global Conference Aug. 21 to 24 at Moon Palace Golf & Spa Resort in Cancun, its flagship that recently underwent a $150 million renovation. The travel agent event, which included a general session, trade show, educational sessions and site inspections, also left plenty time for networking and fun. Palace hosted a Mexican Celebration Evening and a Jamaica Themed Night, with the conference culminating in a travel agent Recognition Awards evening featuring a Gatsby-themed awards ceremony. 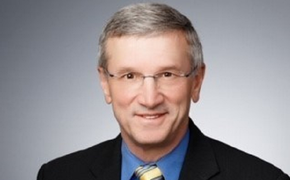 We sat down with Frank Corzo, vice president of U.S. field sales for Palace Resorts, to talk about why Palace launched the conference, its agent-friendly sales and educational programs, and its expansion into Jamaica. TravelPulse: Why did Palace introduce an annual travel agent conference? 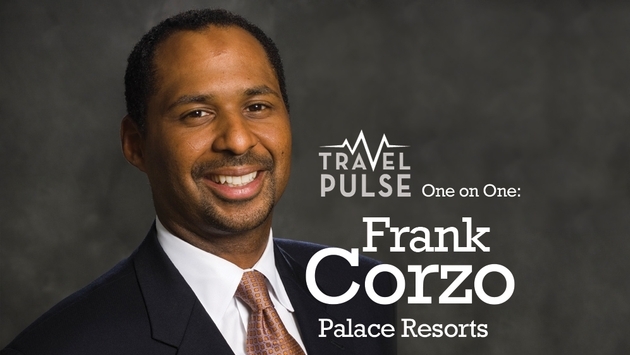 Frank Corzo: We wanted to host an event that was fully focused on education, support and bringing agents together with the Palace team, because the partnership with agents if very important to Palace Resorts. We were initially thinking about conducting an event in the U.S. but after giving it a little further thought we decided it was better to bring agents to Mexico so they can experience what’s available for them and their customers. If it were not for the support of travel agents we wouldn’t have the business we have today. So the Palace executive team and its owners are extremely loyal to the travel agent community. We wanted to have an event where we not only talk about Palace Resorts, but our partnership with the travel agent community. Our advertising campaign is Live the Palace Life and we wanted to give the agents a glimpse of living the Palace life for a few days. So it’s an education, learning and networking experience. TP: What were some of the highlights of the conference? FC: During the general session, we had some absolutely phenomenal speakers, including Mark Murphy from travAlliancemedia, parent of TravelPulse.com, Agent@Home magazine, Vacation Agent magazine, Travel Academy, Virtual Travel Events and Agent Studio; Stuart Cohen, a 26-year industry veteran who’s an author, trainer and motivational speaker; and Jennifer Donscecz, owner of VIP Vacations, and a specialist in Caribbean vacations, and destination weddings and honeymoons. We also had our PRO Recognition Awards on the last night of the conference during a 1920s Gatsby-themed gala, which recognized different levels of agents within our PRO Specialist program. We designed classes on very important industry topics; things like social media, destination weddings, sales tools and marketing opportunities. TP: How many agents did the conference attract? FC: We had 750 agents here, with the largest representation from the U.S. market. We also had very solid representation from Canada, Mexico and Latin America, so this was an international conference. Next year we’re anticipating having probably 1,000 people. TP: What’s new with Palace’s PRO Specialist program? FC: As of today, we have registered about 5,000 agents. We started the program last September. In the first 45 days, 2,100 to 2,200 agents joined with the other half joining throughout the remaining months. We just revamped our agent Web site to make it more user-friendly. We’re working on a sub Web site that will serve as a platform for collateral where agents can order brochures and other promotional materials online. We’re even going to put information for car wraps on that site. So if somebody wants a car wrap they can request it and then we’ll send them a contract and all the details. We’ve had many agents approach us about wrapping their cars to use them as Palace billboards. We’ve had a car wrap program for a few years and recently we redesigned the wrap to be geared more toward honeymoons and weddings — so we actually have two separate designs. We’ve positioned travel agencies together with Palace with a design that’s very eye catching but elegant at the same time. I think we achieved that both on the family and the wedding sides. Another unique thing that we’re doing for our PRO agents is that we’re test piloting a program that lists agents on our customer-facing Web site. That will drive business to our travel partners. Right now agents are listed by state. If you’re in a certain state you click on the state and there’s a window that pops up and you’re going to have the corresponding PRO agents for that state. It has the agent email addresses on there and we’re working on adding phone numbers in the next 30 to 45 days. TP: What else is Palace Resorts doing on the educational front? FC: We partnered up with travAlliancemedia to unveil the Travel Academy. We’ve been working on it for some time. Agents who take the course are really going to become entrenched in what we’re doing as a company for their customers. It will be heavily product-driven and talk about different categories, dining experiences, service, the locations of the resorts, what can they expect and the different touch points. For example, it will touch upon such features and amenities as the FlowRider, golf and spas. At minimum, agents will obtain a thorough understanding of what each one of our properties offers. Once they take the course they’ll receive an automatically generated certificate, along with a start-up kit with flyers and window stickers. We also have our Cash is King program, which agents are eligible for once they’re active in the PRO program, with booking bonus funds loaded onto a reloadable Palace branded debit card. There’s also the Ready Sell Stay program, which, when agents book a certain amount of nights, rewards them with free stays. It’s a way for us to get agents to come see our properties. Next year we’re going to be running national fam trips, not only to Cancun but also to Jamaica, where our first resort is schedule to open in February. This year we offered fam trips, but on a more localized basis. TP: Speaking of Jamaica, what are some of the features of the resort? FC: We’re making incredible transformations to the hotel, which was formerly the Sunset Jamaica Grande. It’s going to have roughly 700 rooms, with a FlowRider, a Wired teen area and a variety of restaurants. We want to make sure the resort is consistent from the products people know and love here in Cancun.